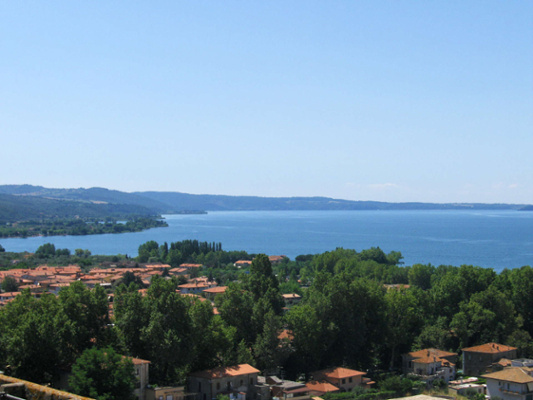 Lago di Bolsena is the fifth largest lake in Italy. Bolsena, on its northern shore, is a most likeable relaxed town and a good base for water sport activities. It sits on the ancient Via Cassia which leads to Montefiascone, a village renowned for its good restaurants and an August wine festival promoting the local wines. Virtually mid-way between these lakes lies Viterbo, an historic town with a well preserved medieval centre. In nearby Bagnaia, visit the famous gardens of Villa Lante or head towards the coast and the Etruscan tombs at Tarquinia, noted for their painted decorations. And finally Rome, the city which has captured the imagination of visitors for millennia. It needs no introduction but suffice to say, a day's sightseeing will only afford a tantalising glimpse of what it has to offer. In Lazio, wholesome, fresh ingredients are used in simple recipes that have been handed down over the centuries. When in Rome, avoid the tourist restaurants and venture down a side street to find a family run 'osteria' where no one stands on ceremony. Try any dish featuring the 'romanesco' artichoke, or spaghetti 'all'amatricina'. Visit any of the lakes and enjoy a delicious plate of freshwater fish, fried or roasted over wood fires. Grapes have been cultivated in the region since Etruscan times and some excellent wines are produced. Gradoli, Frascati and Montefiascone are names to look out for. During the last weekend of June, Bolsena town is transformed by a colourful display of hydrangeas. People come from all over Italy to turn the streets and piazzas of the town into an immense flower garden, a most civilised and vibrant festival! Also in Bolsena, the 'Misteri di Santa Cristina' takes place in late July. The torments of the martyr are depicted in a series of tableaux around the town, played by the local people. Throughout July and August, Bracciano hosts many concerts, theatre events and other festivals in the evenings. And in September, during 'La Notte Bianca' (White Night) the streets of Rome are full of music and nothing closes all night. Spring is a wonderful time to visit Lazio, with wildflowers in the meadows, the air fresh and the temperatures perfect for sightseeing or countryside walks. The summer is hot and dry, with temperatures often exceeding 30°C. The warm weather does often extend into September but towards the end of the month, and into October, the air becomes crisper as autumn arrives with its splendid colours. 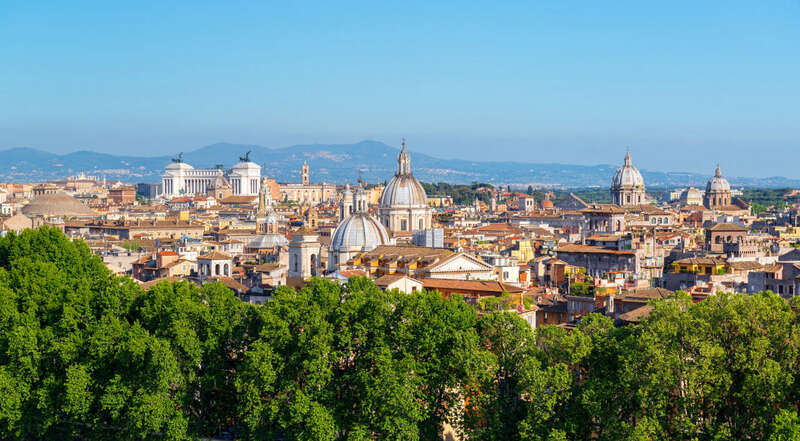 For the houses in Lazio, Perugia is the closest airport around 1hour and 20 minutes away or the two Rome airports are accessible in under two hours. Bolsena, on the north side of the lake, is a most likeable, relaxed town and a good base for water sport activities, including sailing, kayaking, fishing, and even scuba diving. You can join a boat trip to the islands in the lake, or hire a boat yourself from Bolsena. The present town is divided into the medieval ‘centro storico’ on the hillside and the newer part along the lakeside. Towering over the town is the Castello Monaldeschi, built in the 13th century, which now houses a museum telling the history of the lake from prehistoric times.